One of Canada’s best-known curlers has accepted a position to oversee the Chinese Curling Association’s men’s and women’s teams for the 2013-14 curling season, including the 2014 Winter Olympics in Sochi, Russia. Marcel Rocque of Edmonton, a four-time champion at the Tim Hortons Brier and three-time champion at the Ford World Men’s Curling Championship, all playing lead for the legendary Randy Ferbey team, made the announcement today. Canadians have played prominent roles over the years in developing the sport of curling in various countries in a myriad of ways, including starting the game at the grassroots as well as the high-performance coaching level, administration and event management. 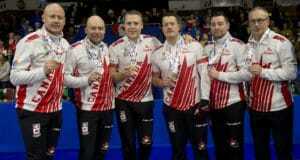 Since retiring as an active player, Rocque has been an active coach, including with the Canadian Curling Association (CCA), focusing particularly on sweeping techniques at various camps around the country. 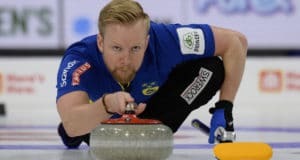 Rocque said he was thankful for the support his family along with his employer, the Edmonton Public School Board, as well as principal Bryan Radmanovich at J. Percy Page High School (where Rocque is a culinary teacher) as he considered the opportunity with the Chinese Curling Association. Next: 2014 Canadian Wheelchair Championship awarded to Boucherville, Que.